Maharashtra Chief Minister Devendra Fadnavis and Union Minister Nitin Gadkari, on Sunday, performed the bhoomipoojan for the grand new Police Bhavan at the Nagpur Police Commissioner office in Civil Lines, Nagpur. The police bhavan will be a six-storey building spread across an area of 4 acre. 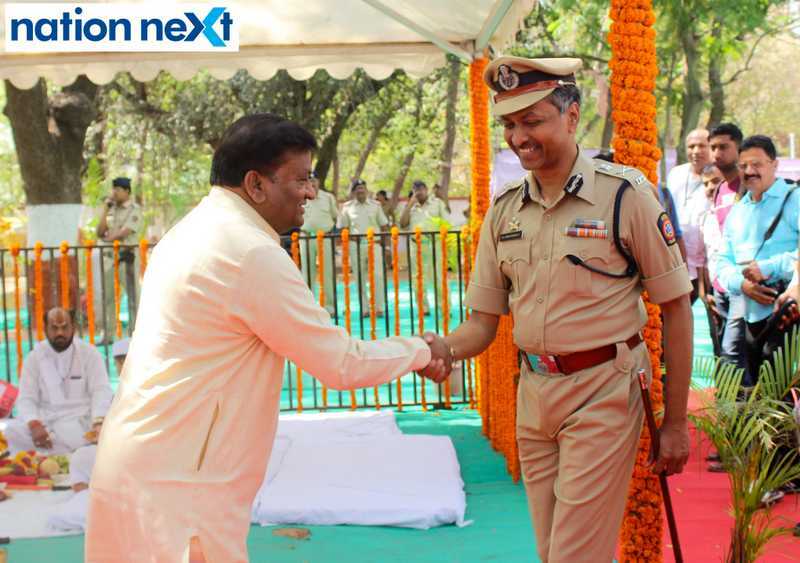 A total of Rs 97 crore will be spent for the construction and development of the complex, which is being touted as one of the most modern centre for police in Maharashtra. 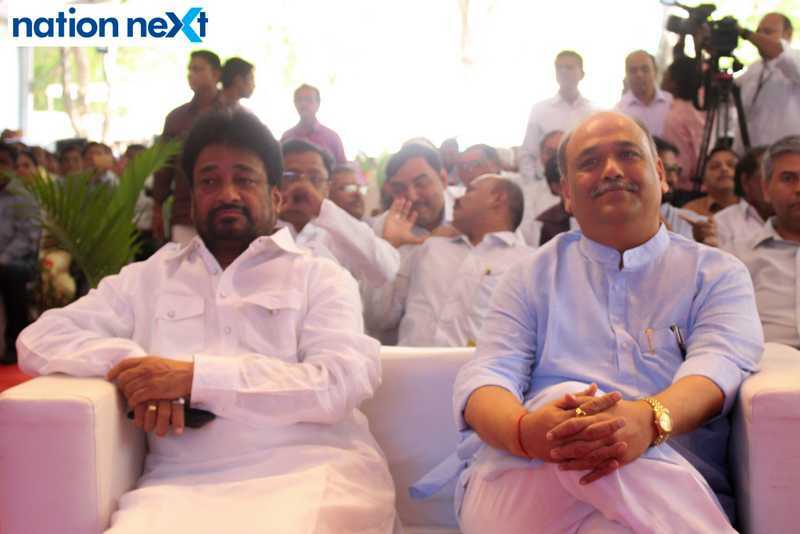 Apart from Fadnavis and Gadkari, the event was attended by Nagpur Polcie Commissioner Dr K Venkatesham, DGP Satish Mathur, IGP Ankush Shinde, Joint MD (police housing) Deepak Pandey, ACS (Home) SK Shrivastava, Divisional commissioner Anoop Kumar, Joint-CP Shivajirao Bodhke, guardian minister Chandrashekhar Bawankule, DCPs Rahul Mankikar and Shailesh Balkawade, Ramtek MP Krupal Tumane, Rajya Sabha MPs Ajay Sancheti and Dr Vikas Mahatme, Nagpur Municipal Commissioner Ashwin Mudgal, Nagpur Mayor Nanda Jichkar, MLAs Sudhakar Deshmukh, Dr Milind Mane, Vikas Kumbhare, Sudhakar Kohale and Sudhir Parwe, MLCs Prakash Gajbhiye, Anil Sole and Parinay Fuke and former Nagpur CPs Ankush Dhanvijay, UD Joshi, RS Sharma and T Singarvel.